February 26 is the 57th day of the year in the Gregorian calendar.There are 308 days remaining until the end of the year(309 in leap years). Nabû-nāṣir, inscribed in cuneiform as dAG-PAB or dAG-ŠEŠ-ir, Greek: Ναβονάσσαρος, whence "Nabonassar", and meaning "Nabû (is) protector", was the king of Babylon 747–734 BC. He deposed a foreign Chaldean usurper named Nabu-shuma-ishkun, bringing native rule back to Babylon after 23 years of Chaldean rule. His reign saw the beginning of a new era characterized by the systematic maintenance of chronologically precise historical records. Both the Babylonian Chronicle and the Ptolemaic Canon begin with his accession to the throne. He was contemporary with the Assyrian kings Aššur-nirarī V and Tiglath-Pileser III, the latter under whom he became a vassal, and the Elamite kings Humban-Tahrah I and Humban-Nikaš I. Year 364 (CCCLXIV) was a leap year starting on Thursday of the Julian calendar. At the time, it was known as the Year of the Consulship of Augustus and Varronianus. The denomination 364 for this year has been used since the early medieval period, when the Anno Domini calendar era became the prevalent method in Europe for naming years. Year 1361 (MCCCLXI) was a common year starting on Friday of the Julian calendar. Year 1416 (MCDXVI) was a leap year starting on Wednesday of the Julian calendar. Viscount Takahashi Korekiyo was a Japanese politician who served as a member of the House of Peers, as the 20th Prime Minister of Japan from 13 November 1921 to 12 June 1922, and as the head of the Bank of Japan and Ministry of Finance. The Prime Minister of Japan is the head of government of Japan. 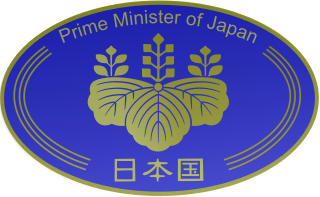 The Prime Minister is appointed by the Emperor of Japan after being designated by the National Diet and must enjoy the confidence of the House of Representatives to remain in office. He is the chairman of the Cabinet and appoints and dismisses the other Ministers of State. The literal translation of the Japanese name for the office is Minister for the Comprehensive Administration of the Cabinet. Viscount Saitō Makoto, GCB was a Japanese naval officer and politician. Year 420 (CDXX) was a leap year starting on Thursday of the Julian calendar. At the time, it was known as the Year of the Consulship of Theodosius and Constantius. The denomination 420 for this year has been used since the early medieval period, when the Anno Domini calendar era became the prevalent method in Europe for naming years. Saint Porphyry was bishop of Gaza from 395 to 420, known, from the account in his Life, for Christianizing the recalcitrant pagan city of Gaza, and demolishing its temples. Year 943 (CMXLIII) was a common year starting on Sunday of the Julian calendar. Emily Malbone Morgan was a prominent social and religious leader in the Episcopal Church in the United States who helped found the Society of the Companions of the Holy Cross as well as the Colonel Daniel Putnam Association. Isabelle of France was the daughter of Louis VIII of France and Blanche of Castile. She was a younger sister of King Louis IX of France and of Alfonso, Count of Poitiers, and an older sister of King Charles I of Sicily. In 1256, she founded the Poor Clare monastery of Longchamp in the part of the Forest of Rouvray, west of Paris. Isabelle consecrated her virginity and her entire life to God alone. She is honored as a saint by the Franciscan Order. Her feastday is the 26th of February. ↑ Olimpijski, Polski Komitet. "Biografie • Polski Komitet Olimpijski". www.olimpijski.pl (in Polish). Retrieved 2017-10-24. ↑ Alexandre Dumas's death act, February 27, 1806, Musée Alexandre Dumas (Villers-Cotterêts, France). Wikimedia Commons has media related to February 26 .